tabloid?11" by 16" magazine, usually newsprint, e.g. 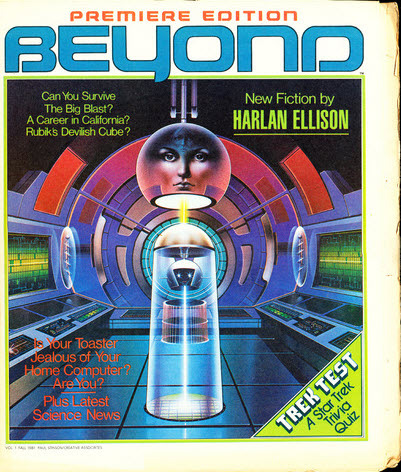 British Science Fiction Monthly. Notes: Volume 1, Fall 1981. "Premiere Issue". A free publication distributed to college campuses three times a school year. Only content of genre interest listed here.